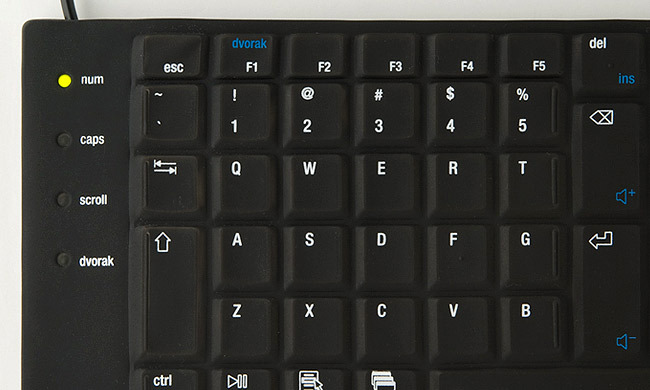 Now available in QWERTY, DVORAK, BLANK, or BÉPO. Available in US and UK English, French, Swedish, German, and Spanish. 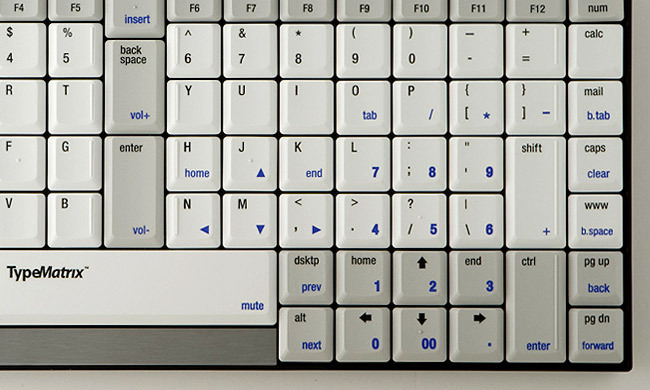 Alternate layouts including Dvorak, Colemak, and Workman also in stock. 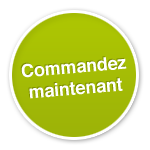 La disposition de clavier francophone ergonomique. With its small footprint, intuitive layout and true ergonomic design, the TypeMatrix 2030 has become a favorite among typing enthusiasts. 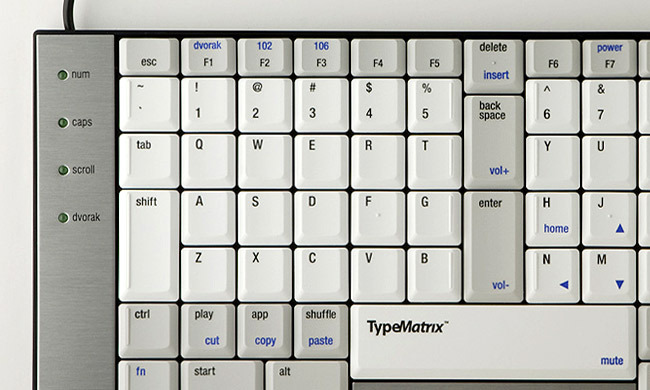 The Matrix Architecture (straight vertical key columns) increases typing accuracy and decreases wrist distortion. 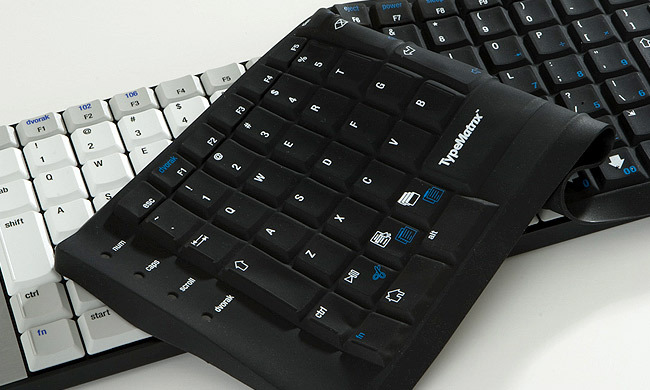 Large centered BackSpace and Enter keys move usage of some of the most used keys from the weak pinky to the strong index finger -- with less reach.The minimal footprint also means less reaching for the mouse reducing arm and shoulder stress. 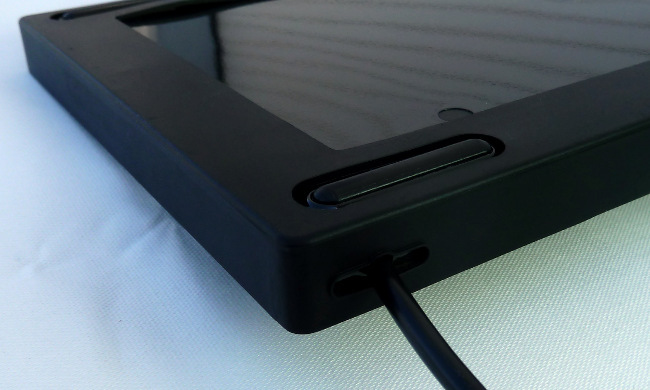 We are running a holidday special: use coupon code CYBER2014 during checkout for a 30% discount until 1/1/2015! Enter your email and get FREE premium shipping worldwide for every purchase until the end of the year!